I am loving the Shifters of Shadow Falls world, while this book can be read as a standalone I truly feel to get the most out of it you will want to read the entire series in order. I love that you can bounce back and forth with series and standalone but since some characters from the books prior to this one are mentioned in this you will want to know their background as well. That being said, you can not go wrong with this book if you enjoy a good Dragon Shifter story. Drago and his brothers are living a sheltered life in their castle but with everything going on in Shadow Falls their peace is starting to look like its a thing of the past. Each of the brothers need an heir to carry on their breed but since none of them have a mate its not looking good. 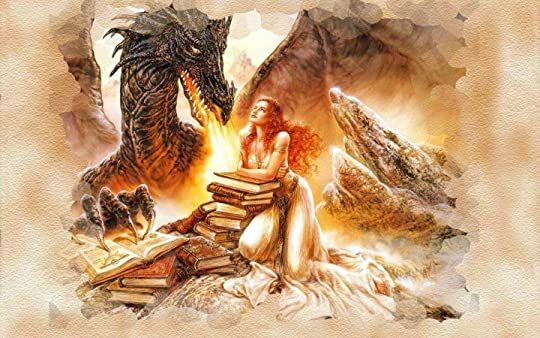 But when Kara is brought to the castle Drago feels the pull of his mate, even though she is human if she is strong enough and a true mate she will produce and heir. Does she feel it too? Will this interspecies relationship work out? Will the Dom in Drago be to much for Kara to handle? All of those questions will be answered along with many others in this hot little read. I cannot wait for Isabella and Galen's story in Dragon's Spell, I really hope it will be out soon because I have sooooo many questions that need to be answered about these two!